It's not the first time we see Samsung filing a patent application for a flexible mobile display, and getting it approved, but in light with the CEO hint that next year we might see a foldable device become reality, the latest patent is worth your attention. The application has been filed last year, and granted July,7th. This time the twist is that Samsung has filed for a foldable screen not only of the OLED variety, but an LCD one, too, with roughly the size of one of its Galaxy tablets. The circuit board for the LCD one is on the outside of each half, while with the foldable OLED it is integrated into the package, and bends together with the panel. Another interesting recent Samsung patent approved by the USPTO involves near-invisible virtual buttons. 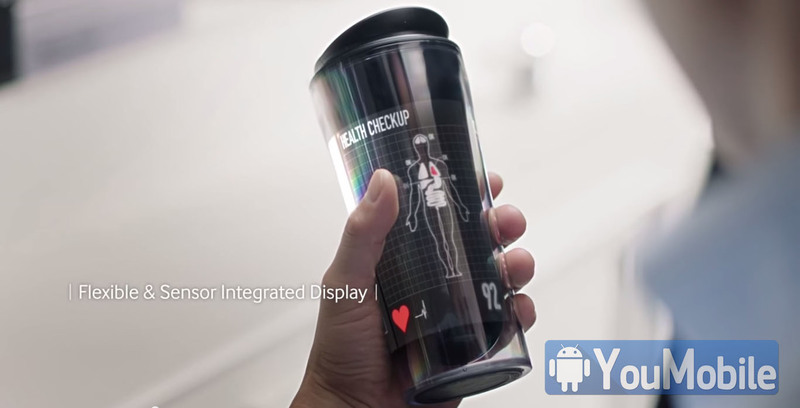 These are active areas situated near the edge of a touchscreen, which can command the camera app, for instance. The so-called "sensor pads" can apparently be mapped to different functions, too, so imagine a back button that is constantly under the tip of your thumb on the side of the phone, without taking physical space below the screen, or a shutter button that doesn't take away from the scene framing. If and how are these becoming reality, remains to be seen, but the R&D departments keep inventing and patenting, so at some point we will see a variation of those materialize, hopefully not too much further down the road. Tags: samsung patented foldable tablet displays invisible virtual control buttons more home buttons any iphone? 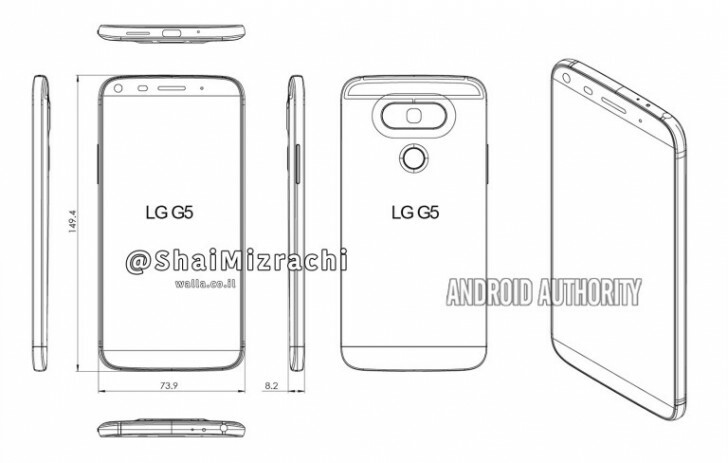 LG G5 diagram leaks: Volume buttons are back on the side? If the reports are correct, then LG will probably unveil the G5 at the Mobile World Congress 2016. Traditionally, LG has always launched its flagship G-series devices a few months after the MWC. This year however, LG is possibly going to put the G5 in head-to-head competition with the Samsung Galaxy S7, one of the most awaited Flagship Android devices of 2016. LG knows that the Galaxy S7 is already one of the biggest competitors to the G5 at both the MWC and after sales. It is believed by many that in order to counter Samsung's upcoming flagship, the G5 has been redesigned to a great degree in comparison to previous iterations of the G-series. A "leaked" diagram surfaced recently and if it has any legitimacy to it, then the G5 will have volume buttons on the side, rather than on its back like the G4. From what has been seen in the diagrams, a 149.4 x 73.9 x 8.2 mm metal body may house the power button/fingerprint sensor and a 20 megapixel shooter on the back with a bottom firing mono speaker. The 3.5 mm audio port can be seen on the top while the front of the smartphone may feature a 5.6-inch QHD panel. It should also be powered by the Snapdragon 820 chipset seen only in the LeTV Le Max Pro so far. Will these alleged specs be enough for the G5 to give the Galaxy S7 a run for its money? We will soon find out. 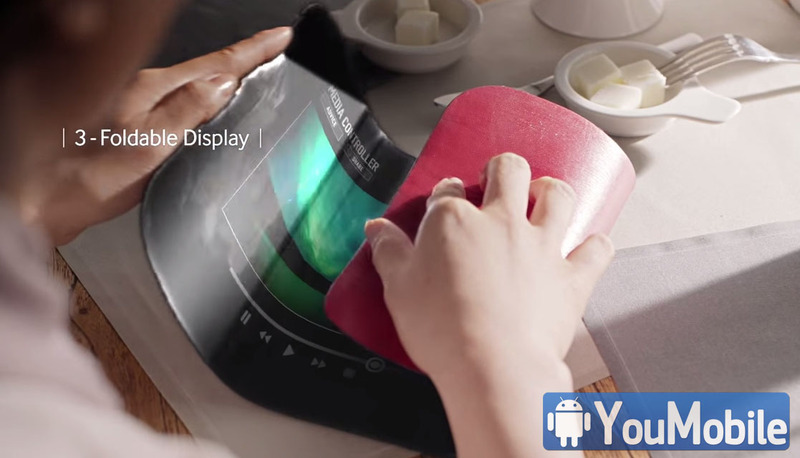 Tags: samsung patented foldable tablet displays invisible virtual control buttons more home buttons any iphone? diagram leaks: volume buttons back side?